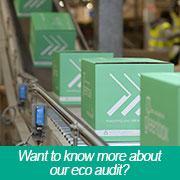 Our corporate responsibility is clear, it’s all about working towards a sustainable future. From building long term relationships with our customers and suppliers, to how we value our people and local community, and preserving the environment. We take pride in our integrity and ethical approach to everything we do and the way we interact with all our stakeholders and the wider community in which we operate. We believe value is derived from long term relationships and partnerships, from the high calibre experienced team that deliver our exceptional service, through to our supply partners delivering high quality ethically sourced products and ultimately the customer relationships we nurture. As a business we are actively involved with a number of our clients ‘Green Teams’ developing joint strategies to reduce our impact on the environment. This extends beyond environmentally friendly products, to eco audits, recycling schemes and joint carbon reduction schemes. We have also been actively involved in supporting client presentations to the City of London Corporation as part of The Clean City Awards including the Chairman’s Cup Winners. At Image we aim to find innovative and sustainable solutions to help us improve our operations and provide the best service for our customers.